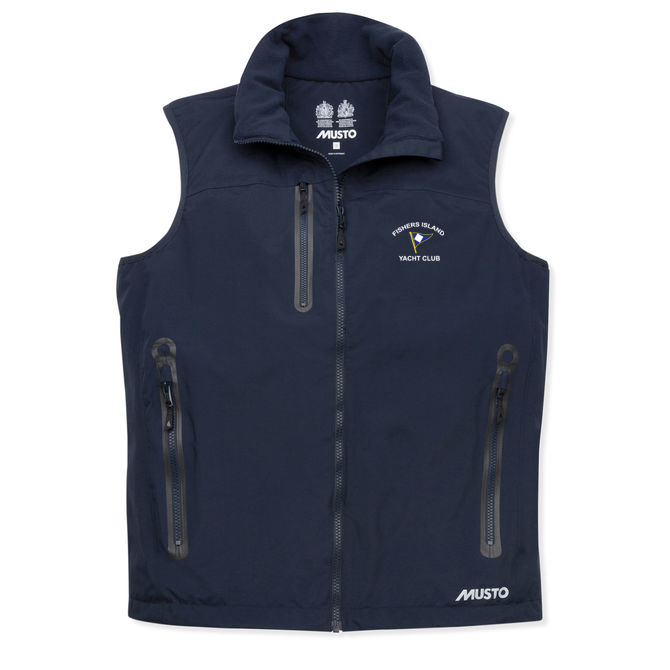 When sailing in warm climates, opt for the Sardinia BR1 Gilet as your mid layer. Lightweight with a mesh lining, this garment counters spray and rain with ease, while a drawcord hem locks in heat and provides a more flattering fit. An internal zipped pocket with a headphones exit point ensures that you can enjoy your sailing playlist, with multiple pockets keeping your essentials close to hand. This vest is embroidered with the Fishers Island Yacht Club logo on the left chest.